By the time of their third album, Men at Work's music had become a bland, synthesized variation on mainstream pop, featuring none of the melodic sensibilities or subtle humor of their first two albums. Although the album went gold, it featured no Top 40 singles. 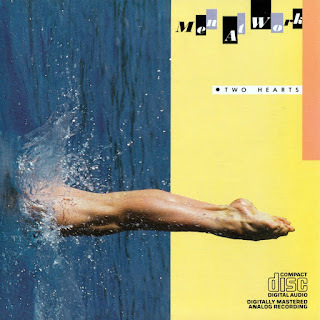 The commercial performance of Two Hearts was a considerable disappointment after their first two multi-platinum records and the band broke up shortly after its release.